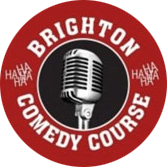 Whether you’re completely new to stand-up comedy or you’ve been working on the comedy circuit for a while, 121 coaching is a sure way to advance your skills and make an impact. Coaching can be virtual or in person. This bespoke coaching will help you create funny and engaging content that’s well-structured and punchy and deliver it with confidence and style. It could be that you just need the kick start to get writing and performing again. One to One Coaching is ideal for clients who want a concentrated experience. Tap into your own comedy genius and learn positive body language, delivery and stage techniques that will enhance all future comedy and public speaking experiences. Apply your learning immediately to enhance your confidence and comedy writing abilities towards a set you’re proud of. Coaching is rolled out in a relaxed and encouraging atmosphere by a coach with over twenty years stand-up comedian experience and eight years of coaching experience. You’ll integrate your new found skills into your performance in every session when you deliver your material. You’ll receive individual feedback on performance and material on every session. There is advice on how to market yourself and a list of contacts to secure future gigs should you choose to work on the comedy circuit. For those who can make it to Brighton, there’s the additional bonus of a guaranteed gig. Give us a call or drop an email to arrange an initial consultation. On receipt of payment (£95) an email will be sent to confirm time for our appointment. On our initial consultation we’ll discuss your aspirations and goals, previous experience, and any possible deadlines that you may have. Decide what package option best suits you. Book first session. On the first session you will be asked to deliver a 3-5 minutes of material in order to produce a plan of action tailored to your needs. Future dates are booked. There will be tasks set in between coaching sessions to compliment the coaching and excel your new found skills. All sessions are for two hour basis, unless objectives require longer blocks.